Few days ago one of my friend shared a link on my Facebook wall, in which a person was making chocolate bowls by using balloons. I took no time and bought some balloons and started my experiment. I melted chocolate and then after blowing up a couple of balloons I dipped one in the chocolate as it was mentioned in the picture. So far so good as chocolate covered half the balloon. I happily kept that in a plate and grabbed other one. Boommmm… a blast of balloon I heard. For a second I tried to understand what happened but soon I realized that it was the chocolate covered balloon which blew up after 5-6 minutes and it took whole day to clean up my kitchen. I did not give up and searched for another technique for making bowl and found one. I tried it and soon I was jumping up with joy. It was a great success. Here is the recipe, hope you will also try and then comment. 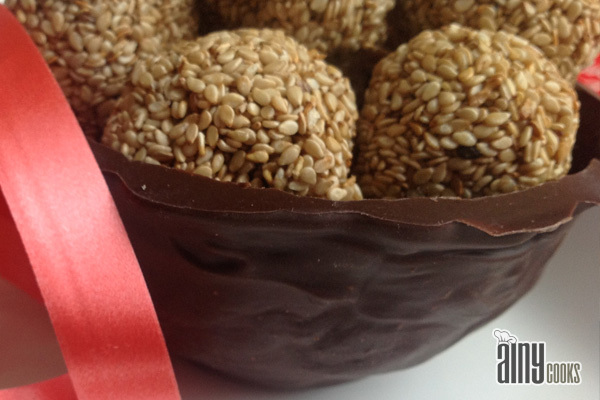 Melt chocolate, meanwhile cover the outer surface of bowl with foil. You need to cover whole bowl except inner surface. Now dip the bowl in melted chocolate, wait for few minutes then again dip it and place them in a tray facing down wards means chocolate dipped portion up. 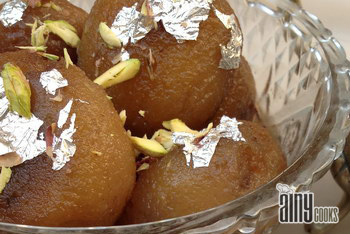 Let it cool down for whole night, if temperature is high in kitchen then keep them in fridge. Next day you just need to push the foil up but not forcefully, with very light hands… foil will come out it self and then remove it. First melt jaggery (gur) and water in a pan. Then roast seeds in a pan. When it smell like they are roasted remove from stove and set aside. Now check gur mixture if it is thick, add sesame seeds in it along with ghee. Mix all well and let it cool down for few minutes and then make balls of mixture. You should do this quickly otherwise the ball will not form a perfect round shape. 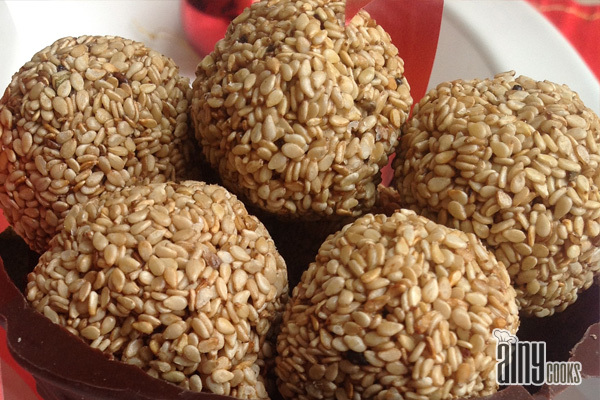 You can add crushed nuts also if you like… enjoy this winter special treat.